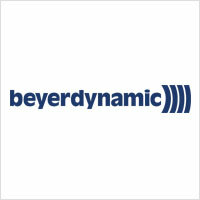 Beyerdynamic is one of those stalwart audio equipment companies that has been around since [almost] forever. Founded in 1924, its contemporaries (and indeed, closest competitors) are Shure and RG Jones Engineering. For those who are not audiophiles, the name beyerdynamic might sound alien and somewhat kitsch – as an attempt to sound great because of the Germanic name. However, the company is indeed renowned for its extensive (and expensive!) 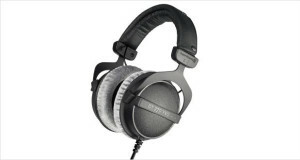 collection of audiophile equipment including some excellent headphones and systems. The company, moreover, is German and has been in the hands of the founding family since its inception. 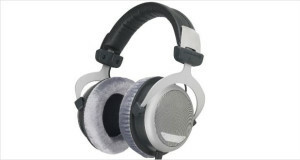 The audio equipment manufactured by beyerdynamic include hi-fi headphones, in-ear headphones, mobile amplifiers and headphones, studio and stage earphones and accessories, aviation and gaming headsets, studio, stage and personal microphones, instrumental microphones and conference systems and technology. Beyerdynamic’s strength lies in the fact that it has a long history of manufacturing, researching and refining its products. Original research and development has set its knowledge base in a very firm position from where it can take on other companies with ease while a loyal customer base knows that anything from its stables are going to be exceptionally good headphones. The company’s history starts in 1920s when Eugen Beyer believed that sounds were going to be one of the most integral parts of the upcoming movie revolution. In 1924, he started his company to manufacture loudspeakers for cinema palaces. In 1930, the first dynamic headphones were produced by Beyer and in 1937 they were serialised as the DT 48s. Two years later, the first dynamic microphone, the M 19 was developed for studio use and made history as being the mic of choice of the German national broadcasting station, the Reichsrundfunkgesellschaft. After many breakthroughs in microphone manufacturing the E 1000 became the touring microphone of choice for the Beatles in the 1960s. 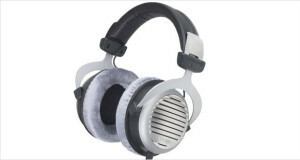 In the 70s, the first electrostatic headphones, the ET 1000 were produced and marketed in Germany by beyerdynamic. Fast forward to modern times, the first digital noise reduction headset for use in cockpits, the TG-X 930 headset allows for digital noise cancelling in a very loud cockpit for use by pilots. These are developed and commissioned for private use in gaming and communication headsets, winning several awards. In 2009, the company won the prestigious red dot design award for its classic M 88 TG microphone after several iterations of designs by renowned artists. The beyerdynamic DT 990 is one of those premier Hi-fi headphones that look, feel and exude the quality of the part. With a monstrously large look and feel, these are headphones that translate the sounds of the music player with little to no loss of fidelity. The amount of detail, the depth and precision of the output will leave everyone vortex away into another plane of existence. The mids of the music sound like you are exactly in front of the musicians in the studio where they are recording the music raw for you. While they might be a little fatiguing out of the box, they warm up and deliver perfectly for the audiophile in you.